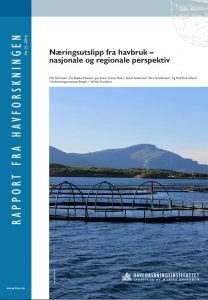 This report gives an estimate of biological production based on dissolved nutrients and particulate organic matter from Norwegian aquaculture. It provides an estimate of the quantitative importance this has in the marine food chain, where nutrients form the basis for marine algae production, while animals can benefit from organic material directly. 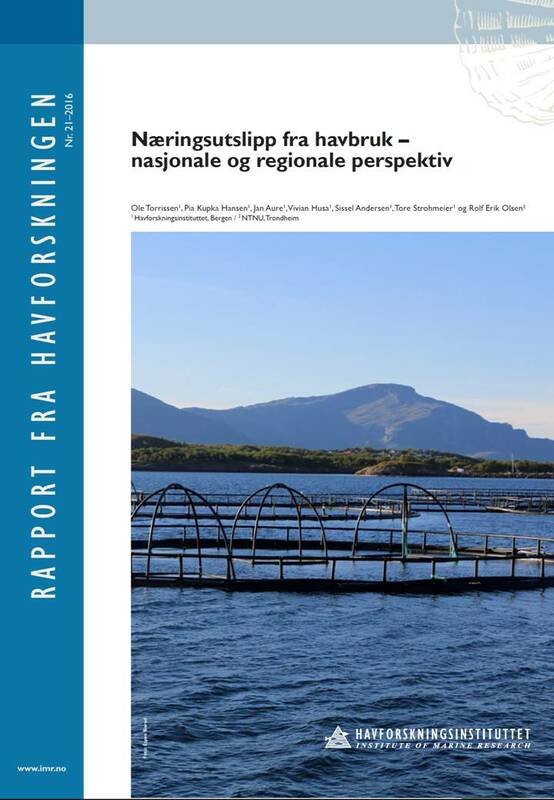 We do not have measurements of the proportion waste feed that is eaten by wild fish, but based on an estimate that about 50% consumed by wild fish, this represents an additional production of 50 000 tonnes of harvestable fish. Inorganic nutrients provide a basis for algae production and as such food up through the food chain (trophic level). Cod is located at trophic level 4.4. Since approximately 90% of the energy is lost in each trophic level, the additional production of fish at trophic level 4.4 would be between 1,000 and 2,000 tonnes at best. Nutrients will thus not provide an additional production of harvestable fish that is significant. We find the same proportion when we look at feces. Here again, one or two levels up through the food chain and the amount of harvestable fish will be negligible. However, if we estimate the maximal production capacity of blue mussel, a primary consumer of phytoplankton, the enhanced food availability will allow an additional production in the scale of 350 000 tonnes.